Details: On Sundays the spinners join us. 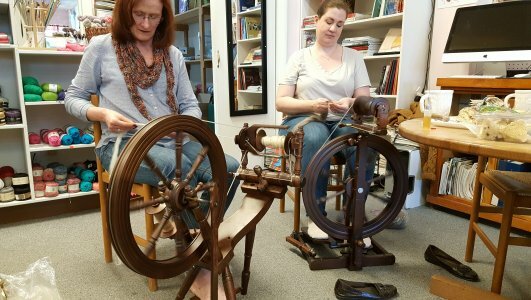 They bring their wheels and spin blends of beautiful fibers and others knit or crochet. So many different things being made on Sundays. It's a fiber enthusiasts' dream!